The farm-to-table movement is alive and well in Jacksonville, thanks in large part to places like Kitchen on San Marco, Black Sheep, Moxie, and Orsay, just to name a few. These restaurants and others like them have become fixtures in the foodie community, dedicated to sourcing ingredients locally and supporting the farmers who grow those ingredients. But where exactly does that food come from? You’ve probably seen their names at farmers markets and on menus all over town – Down To Earth Farm, GYO Greens, Berry Good Farms, and Congaree & Penn. These and other farms in our area are the ones actually growing the ingredients that go into in some of our favorite dishes in town. Knowing where your food comes from is becoming increasingly important and supporting local farmers is just as crucial. The recent Tour de Farm event sponsored by Edible Northeast Florida and Slow Food First Coast provided a perfect opportunity for folks to learn more about some of our local farms and to get a taste of some of the wonderful things they produce. 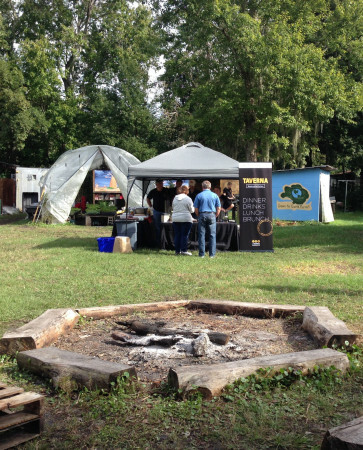 Local chefs and food artisans were also on hand at each farm, showing exactly how these fresh ingredients can be put to use. Demonstrations and activities allowed people of all ages a glimpse into the inner-workings of our local agricultural system. We took advantage of this opportunity and headed out to explore some of the farms right in our own backyard. Here’s what we found. Our first stop was at a farm that truly is right in our backyard. 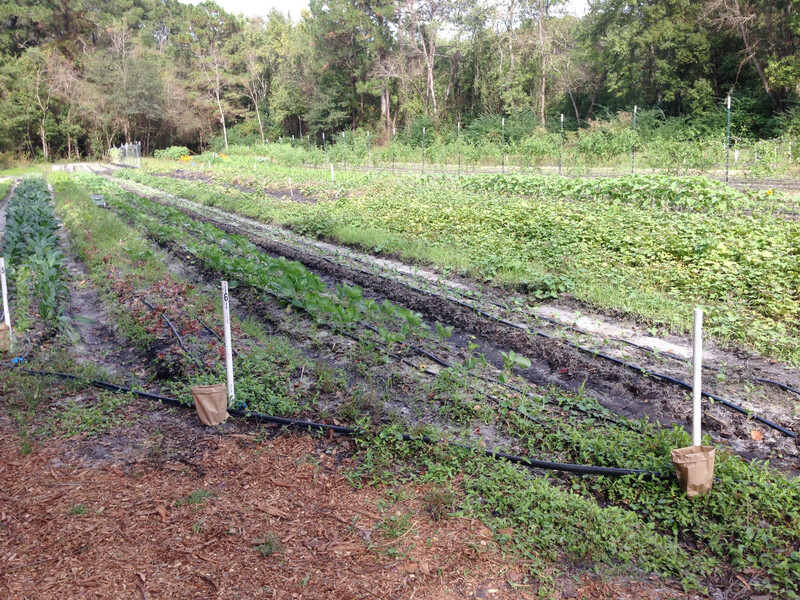 Located near Southside Boulevard and Atlantic Boulevard, Berry Good Farms is the epitome of an urban farm. It is also an integral part of the programs at the North Florida School of Special Education. 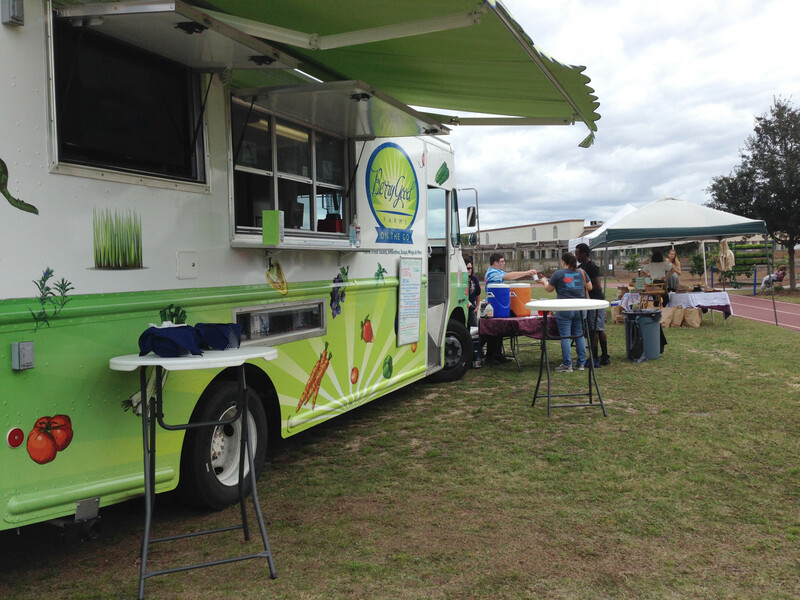 We have raved before about how much we love the Berry Good Farms On The Go food truck, with its fresh, healthy sandwiches, smoothies, and more. The farm not only supplies the truck with fresh produce, but also provides students at the school hands-on farming experience in the process. 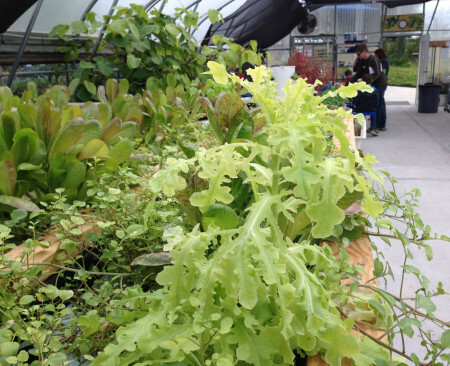 Students are involved in every aspect of the farm, from planting, growing, harvesting, and cooking. 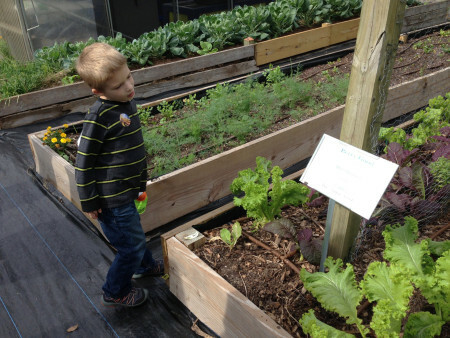 Their level of dedication to their little piece of urban farmland is evident everywhere you look around the property. We started our visit by grabbing a quick lunch from the Berry Good Farms On The Go food truck, which was onsite during the Tour de Farm. The food was delicious, as usual. Between the five of us, we tried a few different sandwiches as well as an order of Salmon Cake Sliders, which were great. 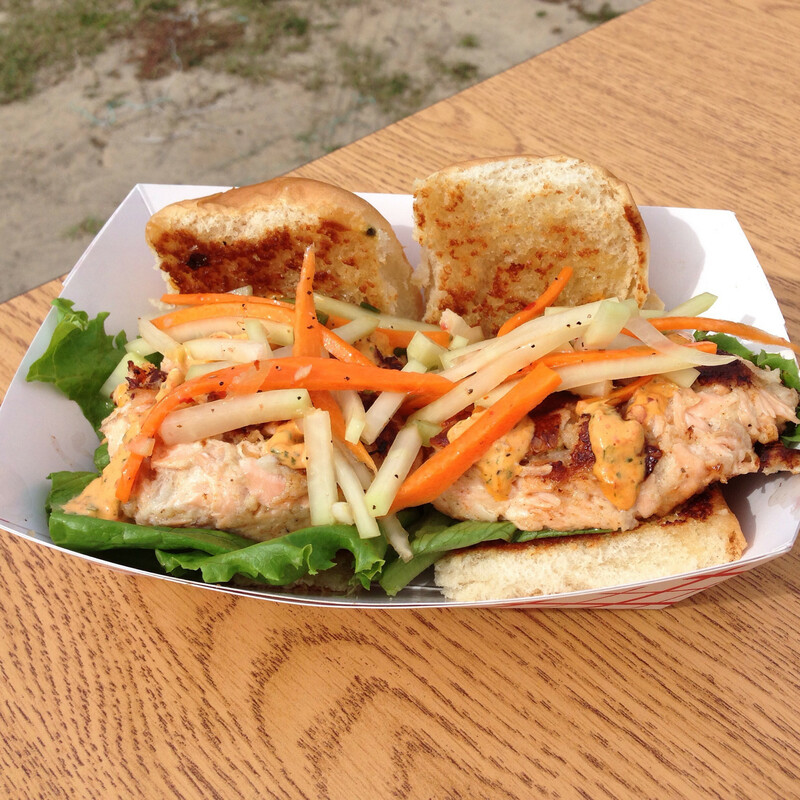 The salmon cakes were beautifully seasoned and the slaw on top added freshness and a nice crunch. Each sandwich was also very well done – the Grilled Turkey with brie, the Grownup Grilled Cheese with tomato and bacon, and my delicious Croque Madame with sweet potato béchamel sauce. Yum! Southern Roots Filling Station and Community Loaves were also there at the farm with some very yummy food of their own and it all looked amazing! After lunch we had the pleasure of touring the farm, which is incredibly well organized and produces an astounding variety of fruits and vegetables. It was a real treat to stroll up and down rows of planters and see things like kale, collard greens, beans, okra, peppers, and other produce thriving right in the heart of Arlington. The greenhouse is also impressive, housing an aquaculture and aquaponics system along with more delicate produce like micro greens, herbs, and veggie starts. Two 500 gallon fish tanks take up much of the space in the greenhouse. 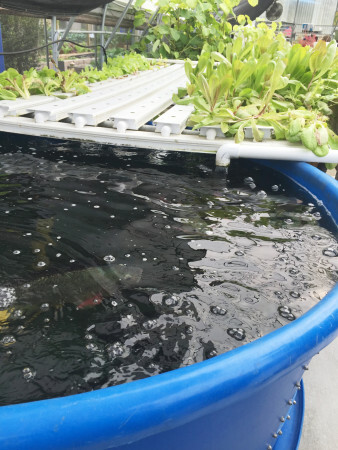 These hold tilapia and sunfishes and provide nutrient-rich water that is used to water and fertilize the produce grown on-site. We sampled a delicious snack made of goat cheese and fresh pesto rolled up inside nasturtium leaves and it was easy to taste the high quality of the produce grown at Berry Good Farms. And others in town agree – Berry Good Farms supplies ingredients to various caterers, health food stores, and restaurants, including Southern Roots Filling Station. 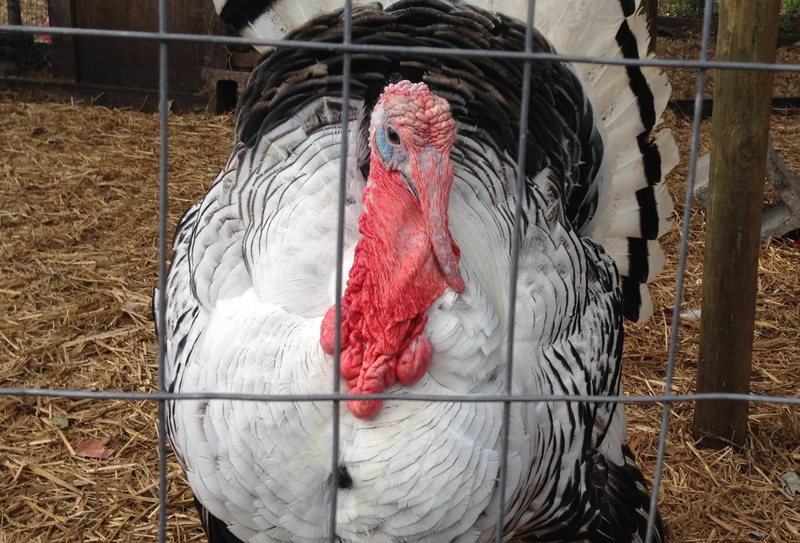 After enjoying some time at Berry Good Farms, we hopped in the car and headed through town to our next stop, Down To Earth Farm on Old Plank Road. 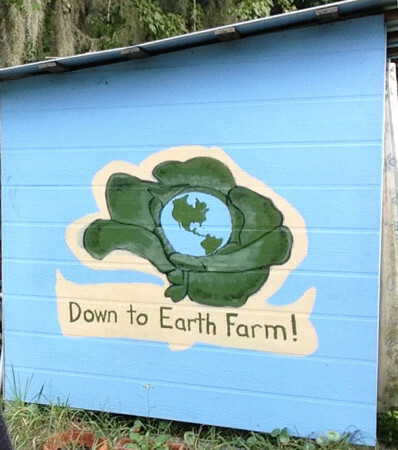 Down To Earth Farm is a small sustainable family farm that began in 2007. Owners Kristin and Brian Lapinski are dedicated to organic growing and creating strong community ties through local farming. Rows and rows of beautiful fresh veggies stretched out across the two-acre farm, clearly showing the hard work and love that has been put into growing them. Chickens, goats, pigs, and a very fat turkey were all there to greet us as we explored the farm. The Lapinski family is all about community and education, so they were eager to answer questions and show people around their property. 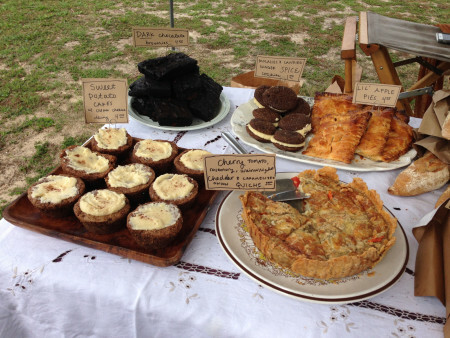 They were also selling some tasty cookies and some truly amazing homemade ginger beer. This stuff was delicious and I have not stopped thinking about it since I finished off my cup. 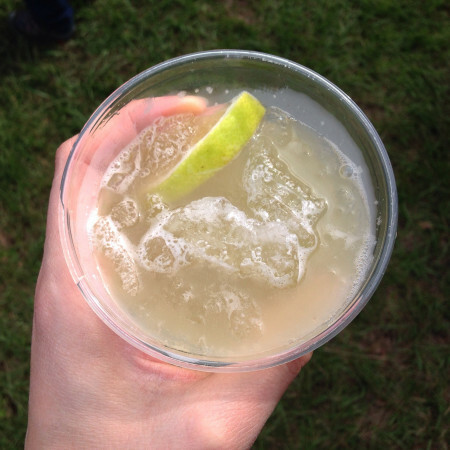 I need to get my hands on more of that refreshingly sweet and spicy drink! Down To Earth Farm supplies fresh ingredients to a few places in town, including Taverna San Marco. The folks from Taverna were also onsite cooking up some farm-to-fork deliciousness with some of the farm’s fresh ingredients. The food smelled amazing and based on the happy diners digging into their farm fresh eats, it looked like it tasted pretty amazing, too. You can also find produce from Down To Earth Farms at several markets around town, including the Beaches Green Market and the Riverside Arts Market. Their small-scale farm means that they are able to produce some really unique and interesting varieties of vegetables that you may not be able to find at grocery stores, so it is definitely worth tracking them down and seeing what seasonal goodies they have to offer. 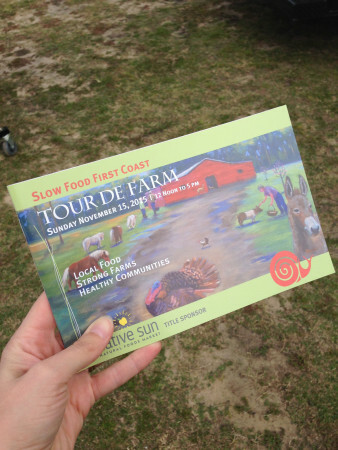 These two farms were just the first stops in our Tour de Farm adventure and we were already amazed at some of the wonderful things happening in our local farming community. Next week, we will take you with us on the next leg of our Tour de Farm journey. See you then! For this review we welcome a member of our own JRR family: Rhonda Kovar is a former call center manager turned stay-at-home mom. She grew up in the heart of North Carolina and moved to Florida after getting hitched in 2002. She is a graduate of Lenoir-Rhyne University and a lover of all things crafty, musical, or edible. Rhonda loves finding new and delicious ways to turn her two tiny picky eaters into future foodies. You can follow her on Instagram. Tagged farm, farm-to-table, tour. Bookmark the permalink.